PELÉ. DI STÉFANO. PUSKÁS. ROMÁRIO: If asked to name the greatest goal-scorers of all time, these names would trip off the tongue of most knowledgeable football fans. 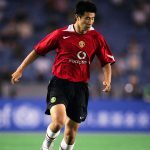 But as is often the case, a player with less of a reputation, playing for a club not considered amongst Europe’s established elite, often seems to fall below the radar. For according to statistical organisation the IFFHS (International Federation of Football History & Statistics), the greatest goalscorer of the last century is not Pelé or Romário, but Josef ‘Pepi’ Bican, Slavia Prague’s greatest ever player. Born to a Viennese-Czech mother and Czech father in Vienna in 1913, Bican grew up with the consequences of World War One, which left the imperial city under an entente embargo, severely limiting supplies to the population, leaving many starving or in poverty. Playing barefoot and using a bundle of rags known as a ‘hadrak’ for a ball as leather footballs were too expensive, Bican and friends from the neighbourhood would play football “all day, from morning to evening”, while their parents lived on the breadline, plotting their way out of a life of poverty. In 1925, with Vienna only now emerging from the devastation of the war, Bican joined the junior ranks of his father’s club, Hertha Vienna, earning a schilling for every goal he scored. At the age of 18, Bican’s talents were spotted by the city’s biggest club, Rapid Vienna, and it was there that Bican was able to truly showcase his ability on the big stage. In his four years at the club, Bican scored 52 goals in 49 appearances and earned 30 caps for Austria, notching an impressive 19 goals. In 1935, Bican made a controversial move to city rivals Admira, where he scored 18 goals in 26 appearances. In 1937, with Hitler’s Nazi party seizing control of Austria, Pepi decided to leave Vienna for his father’s homeland of Czechoslovakia, joining the all-conquering Slavia Prague, winner of seven of the previous ten Czechoslovak league titles. It was here that Bican would truly establish his legend. 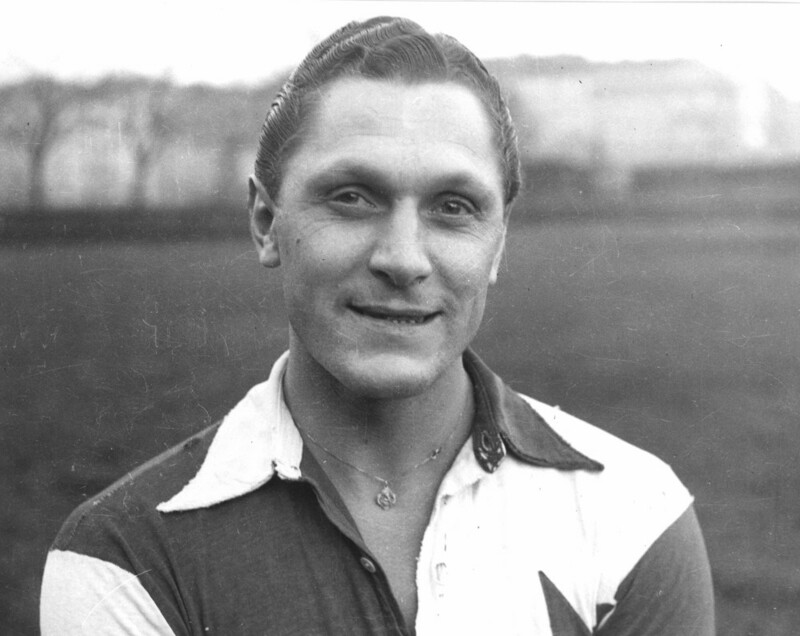 In his 11-year stint at Slavia, Bican would play 217 games for Sešívaní, scoring an extraordinary 395 goals, including an even more remarkable three 7-goal hauls. As a result of his record-breaking exploits, Bican was named Europe’s leading marksman for five consecutive seasons from 1939 to 1944. While this is unquestionably an astonishing record, Bican’s ability when compared with the likes of Pelé and Alfredo Di Stéfano is called into question by those who believe that his achievements were artificially high due to the state of war across Europe during Bican’s most prolific seasons weakening the Czechoslovak league, and removing some of the biggest stars from other leagues across Europe. Indeed, while Bican was scoring at a rate of almost two goals per game, top players from some of Europe’s strongest nations were otherwise engaged on the battlefield. Nevertheless, Bican’s prolific finishing can never be called into question. Two-footed and with an unerring composure in front of goal, his shooting ability was legendary, with it being said that Bican would only miss one out of every 20 opportunities which fell his way. During his time at Slavia, his training sessions would be attended by thousands of spectators eager to witness Bican’s favourite party trick, whereby he would place empty bottles on top of the crossbar and aim to hit as many as he could from 20 yards. Legend has it that at his very best, Bican would manage to hit nine of every 10 bottles he placed on the crossbar. When added to his ability to run the 100 metres in 10.8 seconds despite his very powerful frame, it becomes clear that in any league in any era, Pepi would be a formidable opponent for any defence. Upon retirement in 1955, Bican had an official tally of 805 goals in 530 games in domestic football, and 31 in 44 for Austria and Czechoslovakia on the international stage. But it was not only his prodigious ability on the field that made Bican a Slavia hero. Unsurprisingly, Pepi’s feats on the football fields of Czechoslovakia did not go unnoticed by Prague’s social elite. Ian Willoughby’s excellent piece on Bican’s life states that “he played tennis with the famous actor Vlasta Burian, dined with the actor Jan Werich and knew the film star Adina Mandlova” while the rest of Europe was at war. Bican had become unquestionably one of the biggest names in Czechoslovakia, and a demi-God in the eyes of many Slavistas. His ascent from the ruins of post war Vienna to fraternising with Prague’s great and good was an inspiring tale for those enduring the instability of Central Europe during Bican’s life. However, it was this ascent to fame which would ultimately lead to the end of his playing career at Slavia. Encountering a group of workers while being escorted to the station, Bican was asked if there was a problem, to which he said there was not. The workers said that they were glad, for otherwise they would have gone on strike, for which Bican could have faced a twenty-year sentence for inciting a strike. His exit from Hradec Králové was to pave the way for his return to Slavia, now renamed Dynamo Prague in accordance with communist naming laws, where he would score another 22 goals in 29 appearances before retiring in 1955 at the age of 42 as big a hero on the field as off it. Despite his retirement, Bican’s legend now preceded him wherever he went, and without realising it he had become a famous figurehead for the counter-communist movement in Czechoslovakia. Given his fame and refusal to join the movement, the KRC government saw Bican as a potentially dangerous figure, and sought to defame the superstar in any way they could. The Czechoslovak authorities decided that the most effective means of defamation would be to brand Bican a bourgeois Viennese, despite his humble beginnings. Bican’s situation was not helped by his legendary status at Slavia, a club traditionally supported by Prague’s middle classes. His reputation scarred and his career over, Bican was forced to work on the Holešovice railway until the 1989 Velvet Revolution, sliding into poverty in the process. With the revolution ridding Czechoslovakia of communist rule, Bican returned to public life as a hero, and was granted the Freedom of Prague by the city’s mayor in 2001. Having been allowed to once again take his standing as one of the most influential figures in the history of the Czechoslovak game, Bican was able to live out his remaining years in relative peace, content that his astonishing achievements had been recognised. After suffering from heart problems for several months, the legendary figure passed away on the December 12, 2001, and was buried in Vyšehrad cemetery, where he lies alongside some of Prague’s most famous figures of centuries gone by. With 2013 marking 100 years since Bican’s birth, Slavia made sure that they celebrated the life of the club’s greatest ever player, marking it with a day of celebration coinciding with the derby against rivals Sparta. Players from both sides of the city divide were invited to Eden to celebrate Pepi’s life, before Slavia ultras seized the mantle with two magnificent choreographic displays to honour his memory. The first of these displays unveiled a large banner accompanied by a drawing of Chuck Norris which declared “Only Bican scored more goals than me!” It was appropriate given the nigh on mythological status of the great striker. The second display unveiled a huge poster of Bican, accompanied by a mosaic simply stating ‘PEPI’ in huge golden letters. This time the banner at the front of the stand unveiled a far more serious message. “Pepi Bican – the greatest Slavia man ever”, it proclaimed. Rarely will a group of ultras present a message more difficult to dispute.